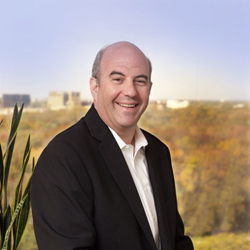 PopCom, leading innovator in AI driven vending machine and kiosk technology, adds global entrepreneurship expert and airport kiosk inventor, Jeff Hoffman, to their Advisory Board. Hoffman, one of the founders of Priceline and inventor of the airport kiosk, believes that the best entrepreneurs are those who identify a practical need, and create a solution. His expertise and experience are a valuable addition to PopCom, and will lend unparalleled guidance to their strategic direction. “Not only is Jeff one of the world’s leading entrepreneurs but he is an innovator in the kiosk space...the industry expertise he brings is invaluable,” said PopCom CEO Dawn Dickson. PopCom, a leading automated retail technology company specializing in smart vending and kiosk solutions, has announced the addition of Jeff Hoffman to their Advisory Board. Hoffman, a globally respected entrepreneur, investor, and CEO— serves on the boards of companies in the US, Europe, South America, Africa, and Asia, supporting entrepreneurs and small businesses in more than 150 countries. He also supports the White House, the US State Department, the United Nations, and foreign governments on economic growth initiatives and entrepreneurship. Hoffman, one of the founders of Priceline and inventor of the airport kiosk, believes that the best entrepreneurs are those who identify a practical need, and create a solution. His expertise and experience are a valuable addition to PopCom, and will lend unparalleled guidance to their strategic direction. “Solving a problem that people have, and that someone in the world would pay me to solve — that is the formula for the best entrepreneurs,” says Hoffman, the recipient of many awards for his work, including the Lifetime Achievement Award from the national CEO council for his contributions to the field of entrepreneurship, the Champion of Entrepreneurship Award from JP Morgan Chase, Citibank, and Rising Tide Capital, as well as the George Brown Award for International Cooperation. The addition of Jeff Hoffman to their team coincides with PopCom’s public fund raise. The company is raising $1,000,000 to continue product development for innovation in the regulated retail space— offering leading edge software and hardware for vending cannabis, alcohol and prescription pharmaceuticals. “Not only is Jeff one of the world’s leading entrepreneurs, but he is an innovator in the kiosk space; the industry expertise he brings is invaluable,” said PopCom CEO Dawn Dickson. The company’s Security Token Offering is open to the public in part as a Regulation Crowdfunding round through StartEngine and have raised over $500,000. Anyone can become an investor in PopCom and take part in the future of retail. If you would like to stay updated on the token sale or the company’s progress, you can sign up for their updates here. PopCom is an automated retail technology company specializing in software for vending machines and kiosks. The company is venture-backed and an alumnus of TechStars and Canopy Boulder. Currently based in Columbus, Ohio, PopCom was founded as a software company in 2016 and is revolutionizing brick-and-mortar retail with frictionless, machine-driven transactions–changing the way consumers and businesses interact in self service retail environments.